One of the most outstanding features of Samsung Galaxy Tab S3 is the fact that it comes with AKG-powered speakers that promise to deliver the best audio experience in a Sammy tablet yet. Well, according to recent reports, the same AKG technology will not only be felt across the entire Samsung Galaxy S8 and S8+ speakers, but also when listening to music via the phone’s out-of-the-box earphones. This report stems from a new set of images of alleged Galaxy S8 earphones that are powered by AKG, something that doesn’t come as a surprise at all. 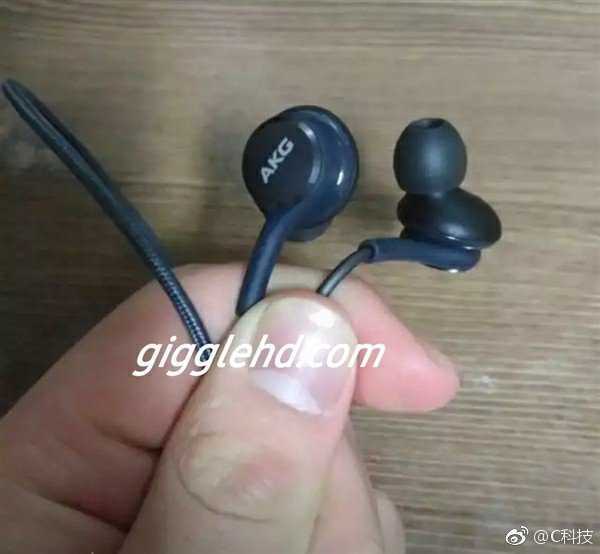 The images came from China’s Weibo and they clearly show that the headphones are indeed branded AKG on the back of the earbuds. Just in case you are still a little lost, AKG is a brand that is owned by Harman International Industries, a company that was recently purchased by Samsung. This company is a global force when it comes to the headphones world and now that Samsung owns it, every future phone, beginning with Galaxy S8 and S8+, will be powered by this technology. In addition to boasting top of the table audio quality thanks to AKG, Samsung Galaxy S8 and S8+ will also ship with the best hardware in 2017. The phones will be powered by a Qualcomm Snapdragon 835 processor that is paired with 4GB RAM and at least 64GB storage. The design will shift to curved screen for both models and this time around, the fingerprint scanner moves to the back since Sammy has turned to soft keys with respect to the home and navigation buttons. Samsung will unveil the Galaxy S8 phones on March 29 and they are expected to come in three color variants of Orchid Grey, Arctic Silver and Sky Black, with European pricing set to start at 799 euros and 899 euros for the Galaxy S8 and S8+, respectively.